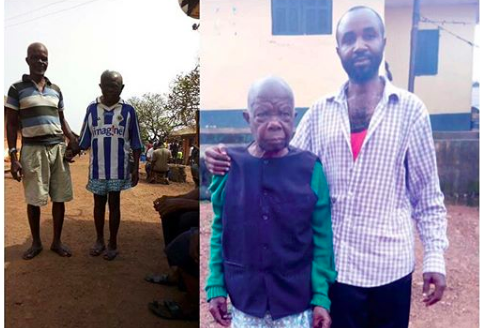 Pa Celestine Egbunuche who has been dubbed as the oldest prisoner in Nigeria celebrated his 100th birthday on the 4th of August inside the Enugu Maximum prison. According to reports, Egbunuche who hails from Akokwa, Imo State, alongside his son and another relation, were sentenced to death for killing an individual during a brawl over a piece of land. All three convicts have reportedly spent over 17 years in jail and their case has been taken up by an NGO, Global Society for Anti-corruption (GSAC). The NGO has requested for Egbunuche's release as he is said to have suffered from diabetes over the years. GSAC has appealed to the FG and Governor of Imo State, Rochas Okorocha to use their board of mercy an release him, his 78-year-old relation and son from prison.